What Does Pomegranate Extract Do for the Skin? Kelp and other forms of algae are rich in nutrients. 2 What Does Pomegranate Extract Do for the Skin? Long prized by Asian cultures as both a delicacy and rich source of healthy nutrients, algae in recent years has grown increasingly popular with health-conscious Westerners. Spirulina and chlorella, two of the so-called super foods derived from algae, are both enjoying brisk sales as nutritional supplements in the West. Perhaps more importantly, they’ve helped to pave the way for greater interest in other forms of algae and the health benefits they might offer. Writing in the May 1999 issue of “Better Nutrition,” Steve Meyerowitz points out that the microalgae known as spirulina is an extraordinarily rich source of protein, which accounts for about 60 percent of the algae’s overall composition. This compares with soybeans at 34 percent protein, beef with 17 percent protein and eggs at 12 percent protein. Spirulina also delivers high levels of vitamin B-12, offering 200 mcg of the vitamin for every 100 g of the algae. Adding to its allure as a super food is the ease with which it can be cultivated, according to Meyerowitz. He notes that organically certified farms, most notably in California and Hawaii, grow spirulina that is rich in nutrients and free of contaminants. As its name suggests, chlorella, another microalgae, is full of chlorophyll, providing the richest food source of the healthful green pigment, which the body can use to cleanse and heal its organs, according to Sergei and Valya Boutenko, authors of “Fresh.” In addition to its rich stores of chlorophyll, chlorella contains a wide array of other nutrients, including beta carotene, selenium, zinc, vitamins B-12, C and E and a substance called Chlorella Growth Factor, or CGF. Beth Ley, author of “Chlorella: The Ultimate Green Food,” explains that CGF bolsters the body’s immune system as it stimulates the healing and replacement of cellular tissue. Kelp, a strain of marine algae, is a rich source of iodine, which is critical to thyroid health, and a number of other important nutrients, including essential fatty acids, fiber, potassium, protein and sodium. 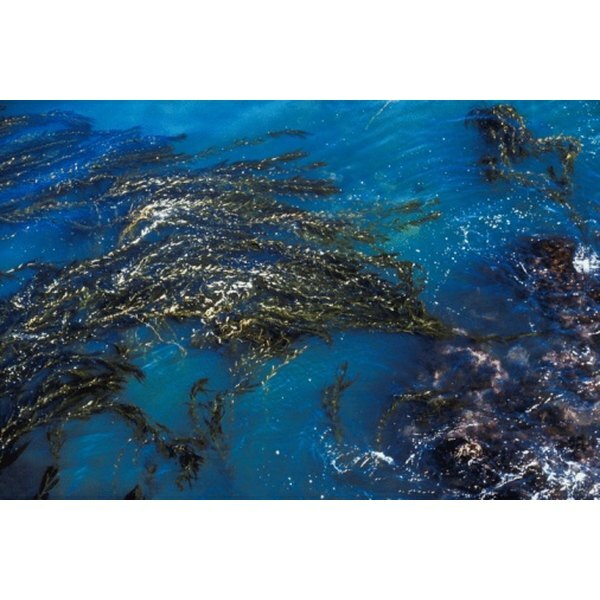 In “Prescription for Herbal Healing,” author Phyllis A. Balch says that the trace mineral content of kelp is among the highest of any known source. This type of algae is believed to be helpful in preventing breast and colorectal cancer, as well as fibrocystic breast disease. 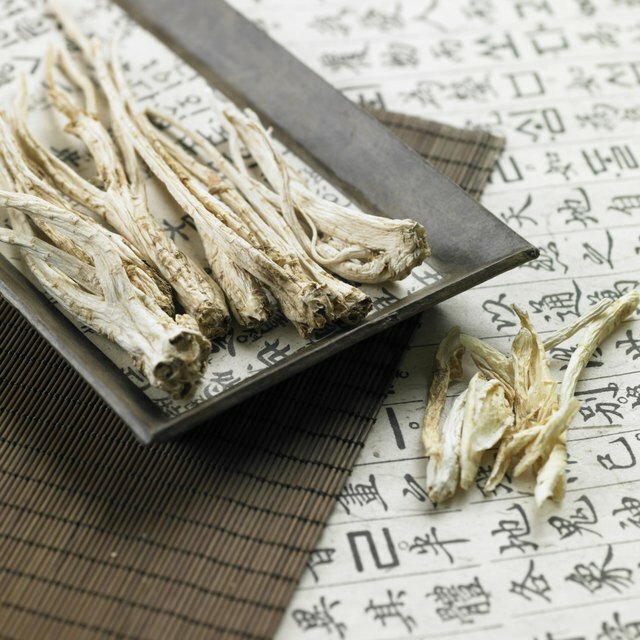 In addition, kelp is a gentle laxative and has been successfully used to reduce cellulite deposits, according to Balch. Nutritionally similar to two other strains of blue-green algae, chlorella and spirulina, Alphanizomenon Flos Aquae, or AFA, has won attention as a powerful brain food, according to Meyerowitz. AFA is rich in neuropeptides of low molecular weight, which allows them to pass readily across the blood-brain barrier. Once they’ve reached the brain, says Meyerowitz, AFA’s neuropeptides strengthen neurotransmitters, helping to improve such basic cognitive functions as alertness, concentration and memory. What Are the Ingredients in LifeCell Wrinkle Cream?